An Indian army soldier who joined Hizbul Mujahideen has been shot dead along with two terrorists in an encounter in Jammu and Kashmir's Shopian on Tuesday, the police said. The security forces launched a pre-dawn cordon and search operation after getting inputs about the presence of terrorists in the area, reported NDTV. The Jammu and Kashmir police said the hiding terrorists fired on the search party of the forces, during the search operation. "They were affiliated with Hizbul Mujahideen and were involved in terror attacks on security establishments and many other civilian atrocities in the area," a police spokesperson said. "No collateral damage took place during the operation," he said. 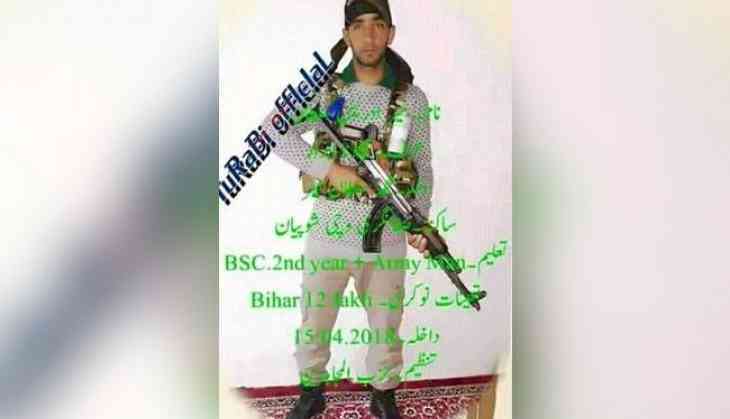 Idrees Sultan, who was in his early 20s, deserted his Jammu and Kashmir Light Infantry regiment and joined the terror group in April this year, police said. Police have asked locals not to venture inside the encounter zone since such an area can be dangerous due to stray explosive materials. "People are requested to cooperate with police till the area is completely sanitised and cleared of all the explosives materials if any," the spokesperson said. Security forces recovered weapons and other incriminating material from the site of the encounter, an army spokesperson said.